Formerly accommodation for staff and horses serving the Houses on Queens Gate Terrace, the Victorian Mews was the serviced space of the Urban Villa. In Petersham Place we have taken this relationship of served and servant space to create an elevated living room defi ned by proportion and served by the ground floor. The entire interior has been stripped out and is reorganised behind a re-configured facade, internal spaces are formed with a focus on proportion and defi ned by contrasting surfaces. 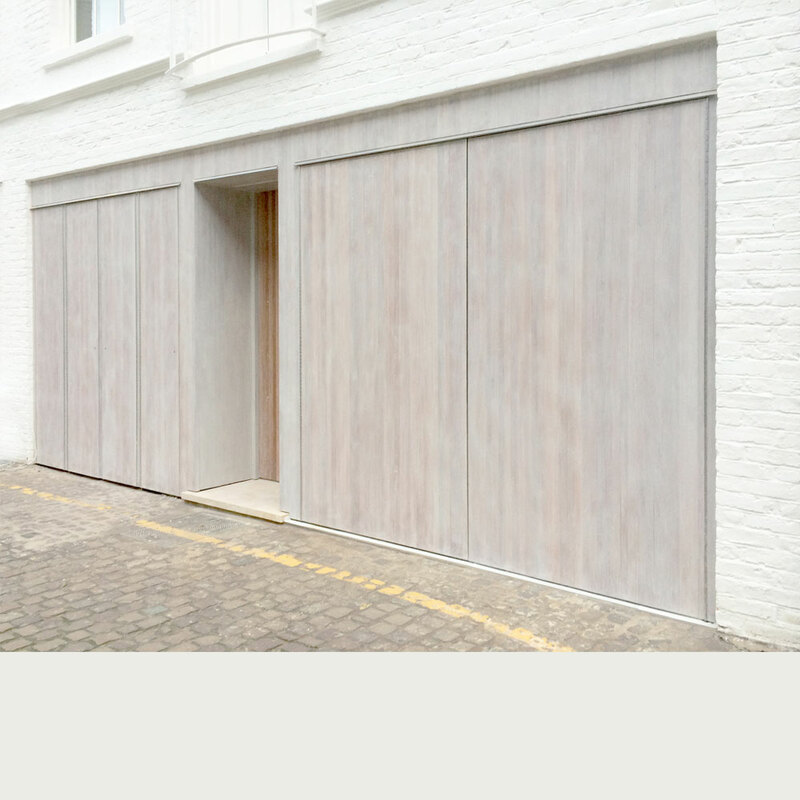 Guest and service spaces are located at ground floor behind a highly detailed bespoke timber joinery piece, consisting of timber screens, entry door and a garage door. 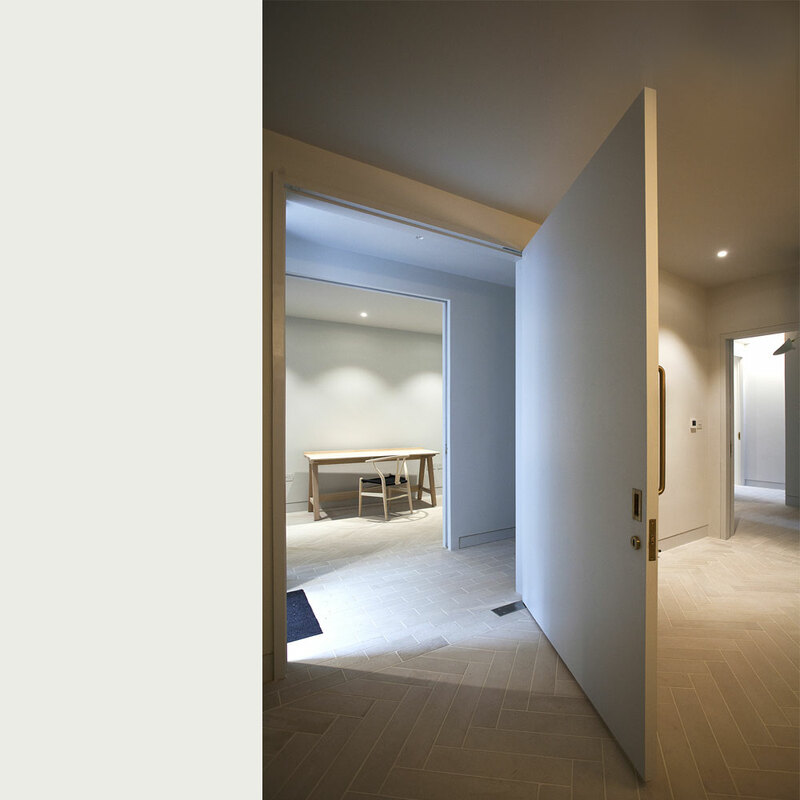 The flatness and solidity of the joinery creates a separation between street and interior. 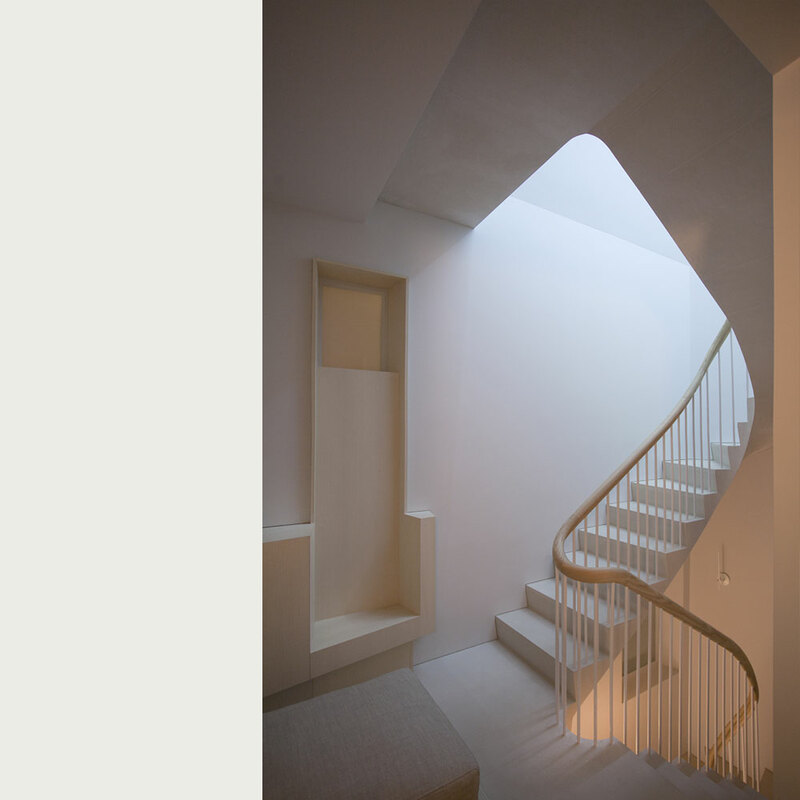 At first floor the living room provides an elevated view of the mews below. Windows have been increased in scale and are reorganised to sit symmetrically within the room. Timber shutters are located within concealed pockets and framed with polished architraves. 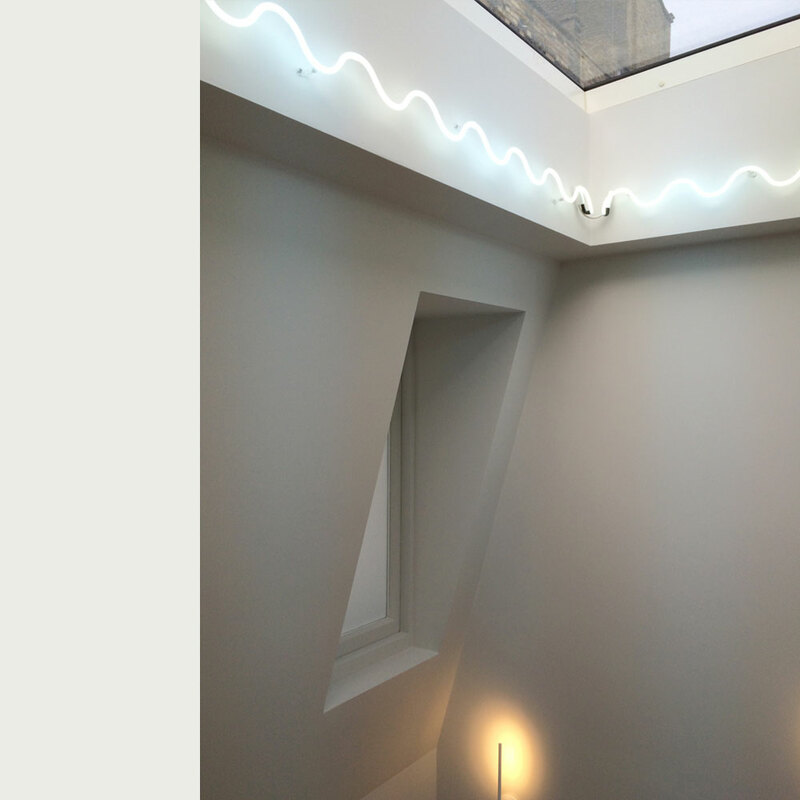 Sleeping accommodation is organised at second floor with multiple skylights creating bright top lit rooms. 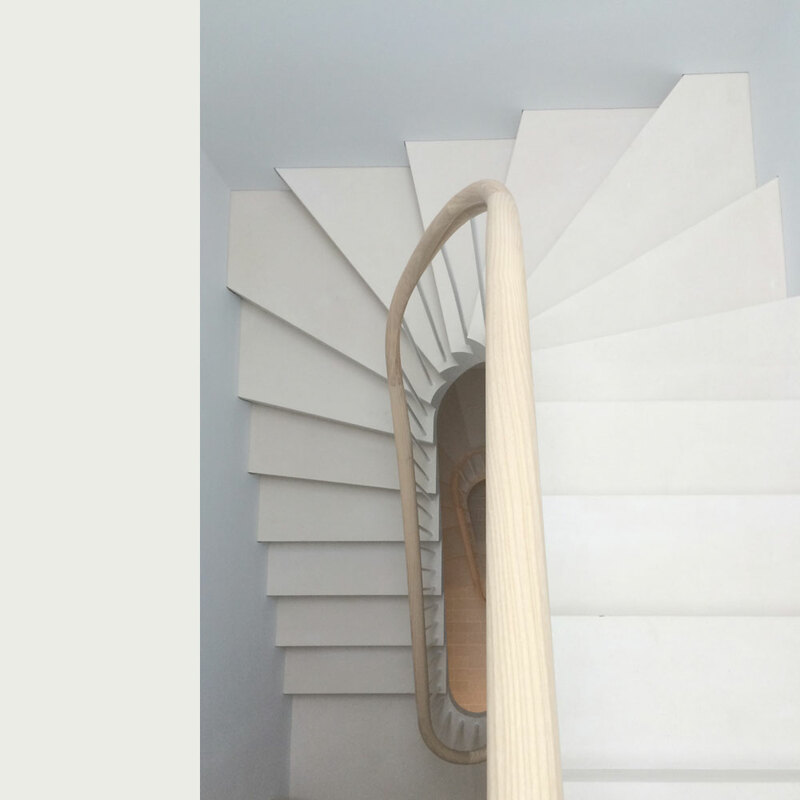 All floors are connected by a three storey cantilevered Portland stone staircase; the scale of the stairwell allows the stairs to be experienced as a room. 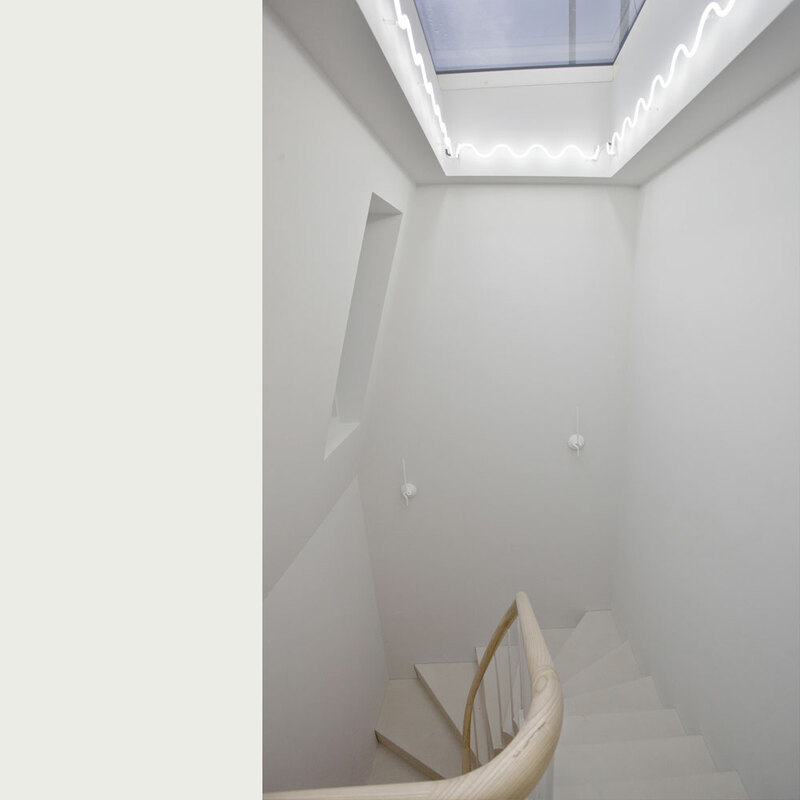 A high level skylight amplifi es the texture of the stone and brings daylight deep into the circulation spaces. Textured Portland stone, lime washed ash, concrete and basalt stone create a contrasting mix of materials that give specific definition to each room.